Safety Director ASP, CSP Certified — Fetters Construction Inc.
Fetters Construction’s Safety Director, Carl Swalls, is investing his time to further his education and qualifications to ensure safe work for everyone. 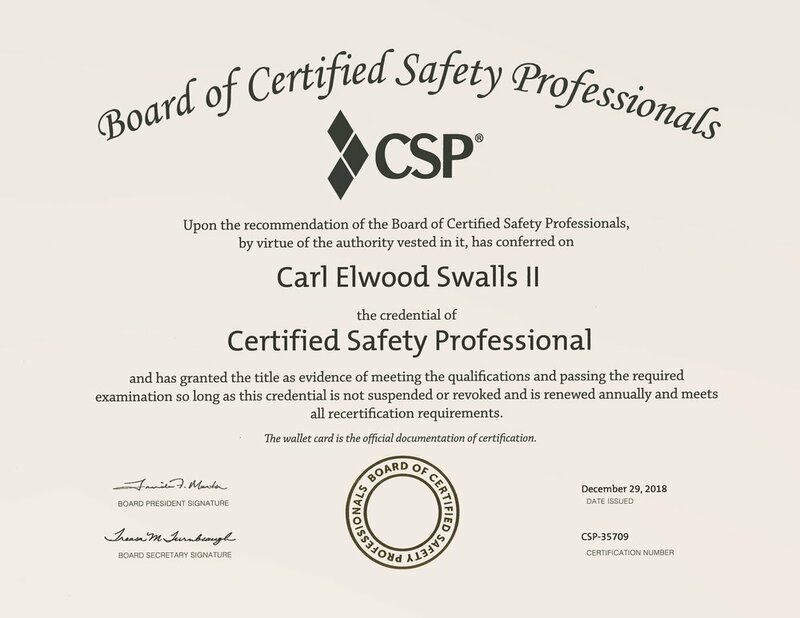 Carl has acquired his Associate Safety Professional (ASP) and Certified Safety Professional (CSP) certifications. Fetters is very proud of Carl’s ambition to continue to use his experience and education to create a safe work environment and in supporting the company’s goals.